When most people think of recycling and paper products, they think of separating out paper for reuse in post consumer applications. However, the paper industry does much more than recycle paper. Wastewater treatment plant (WWTP) residuals (paper sludge), boiler ash, and causticizing residues are among the byproducts associated with pulp and paper production that can also be recycled into different applications. WWTP residuals are composed of the solids removed from process water. They consist mostly of wood fibers and mineral matter such as kaolin clay and calcium carbonate. Boiler ash is produced by burning wood, coal, or other solid fuels to produce steam and electricity. Causticizing residues arise from the kraft pulping process, specifically the recovery of energy and chemicals from spent pulping liquor. The most widely used of the causticizing residues is lime mud, which is essentially calcium carbonate (limestone) with a small amount of calcium hydroxide (lime). All of these paper industry materials are used successfully in land application and other beneficial use applications. WWTP residuals are used successfully as soil amendments to enhance crop productivity. Although their properties vary by source, WWTP residuals supply paper fibers that increase the organic matter in soil, which can improve tilth and water holding capacity. They also can provide nutrients such as phosphorus, potassium, and calcium, thereby replacing more expensive chemical fertilizers. Residuals are useful in composts, primarily as a source of organic carbon. WWTP residuals are also employed as hydraulic barriers because the hydraulic conductivity (permeability) of properly placed residuals can be very low. Barrier use includes covers for landfills and for mine tailings. In the later case, a barrier of residuals prevents water and oxygen from reaching the tailings, limiting the production of acidic, metal contaminated water. Land application of wood ash as a liming agent. Applications for boiler ash are governed by the fuel source and by ash properties. Wood ash is most commonly used in land application as a liming agent, and it also can supply plant nutrients such as calcium, phosphorus and potassium. Wood ash can be a valuable ingredient in composts by reducing odors during composting and imparting a dark color to the final product. 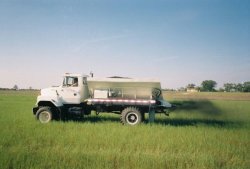 Lime mud is also utilized in land application as a liming agent. It has a composition similar to conventional agricultural limestone. In addition to raising soil pH, lime mud can provide plant nutrients, especially phosphorus. Lime mud also finds use as a feedstock to cement kilns as it is a good source of calcium. Studies conducted or supported by the National Council for Air and Stream Improvement, government agencies, universities, and individual paper companies indicate that the beneficial use of paper mill byproducts can be done without significant risks to human health or the environment. As with many other common materials, however, precautions and sound management practices should be applied when using these byproducts. The use of WWTP residuals, boiler ash and lime mud in different applications benefits the environment by reducing the need for virgin materials and the environmental costs (air emissions, water use and energy consumption) associated with producing virgin materials. 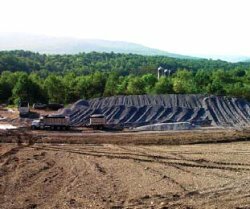 The beneficial use of mill byproducts also conserves valuable landfill space for materials that cannot be used in a beneficial manner.